FoA. 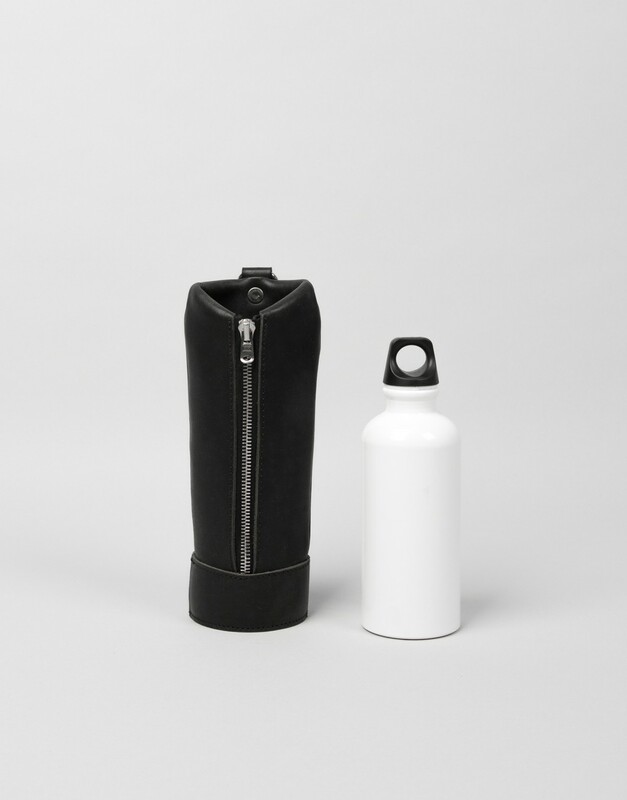 Ody Bottle Holder is made of sustainable leather. 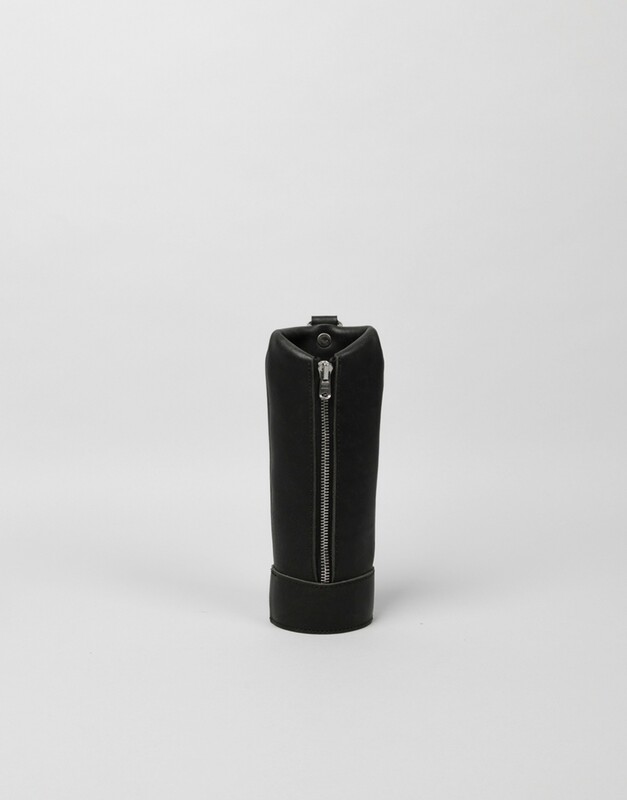 The Bottle Holder has a zipper on the front.